Stage 34, The Denham Release, is a fantastic new release at North Harbour. The Denham Release is one of the best releases at North Harbour so far and is our first release to include both detached lots and Terrace Homes. Stage 34 is North facing and located opposite our new park, Habitat Park, with several lots offering park frontage. Habitat Park includes a playground, fitness equipment, wetlands, bird watching hide and an off-leash dog exercise area. House and land packages in this Stage start from a very affordable $413,920 and First Home Buyers also get a great hand-up onto the property ladder with the First Home Buyers Grant, currently standing at $15,000. For more information on the First Home Buyers Grant click here. Stage 34 also includes eight new Terrace Homes which will be built in Normanby Crescent by Metricon. Two homes are end of terrace which means they offer three bedrooms, two bathrooms and a double garage and are priced at $408,500; six will offer three bedrooms, two bathrooms and a single garage and are priced at $367,000. For more information please click here. Click on lots to reveal more information. These lots are part of TownLiving by Metricon. For more information, please click here. For more information about Stage 34 – the Denham Release, contact the North Harbour sales team. 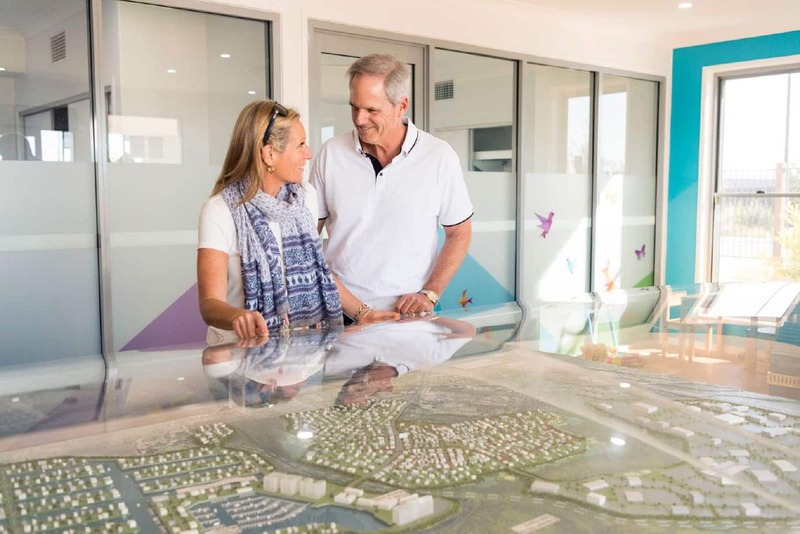 Phone us on 07 5433 1111 or visit our Sales Office & Display Village located in Burpengary East and open daily, 10am to 5pm. Alternatively, you can complete our online form.